Abraham was born in Cayes Jacmel, located in the Sud-Est department of Haiti, and he grew up in Cap Rouge. At the age of 12, Abraham was sitting in a Sunday school lesson when he was overcome with a desire to walk with Christ in a personal relationship and work for Him. Soon he was baptized and began his commitment to ministry by serving at his home church as a youth director and Sunday Bible teacher. Through his studies, Abraham continued to see God’s guidance toward full-time ministry, so after receiving his B.A. in Education, Abraham went on to seminary. Soon after completing his Masters in Divinity, the Lord called Abraham back to do ministry in his hometown, which is where he eventually planted Grace Ministry. In the years since, God has blessed the ministry tremendously, as He has provided a church, two orphanages, and a pre-K through 12th grade school. Having formed a friendship with Pastor Abraham through his time in Haiti, Dave Locke, a member of Harvest York Region in Canada, began to urge Abraham to see what it would mean to become part of the Harvest family. In 2013, he was connected with Harvest York Region and Harvest Peoria, and the partnership was formed soon after. Pastor Abraham went through pastoral training with Harvest and became formally partnered with Harvest Peoria, and in the following year, on April 6, 2014, they launched as Harvest Jacmel. Abraham says God has blessed Harvest Jacmel in huge ways, simply through the Godly men and women who are passionate to serve Him. Their church has become a great family in Christ, and Abraham and his wife Evelyne, his daughter Rebecca, and his son Luc have loved each moment of using the resources God has given them to minister to their community. Pastor Renel was born in the mountainous region of Montagne La Voûte, a community comprised mostly of subsistence farmers. Though he and his eight siblings were born into a Christian home, it was not until he saw the darkness of idol worship and practices of voudou that he fully understood the harm in following the ways of the world. On January 25, 1996, Renel turned from those ways and committed his life to the Lord, furthering that commitment by being baptized later the same year. In Christ, Renel found a purpose, meaning, and sense of life he had never before experienced. 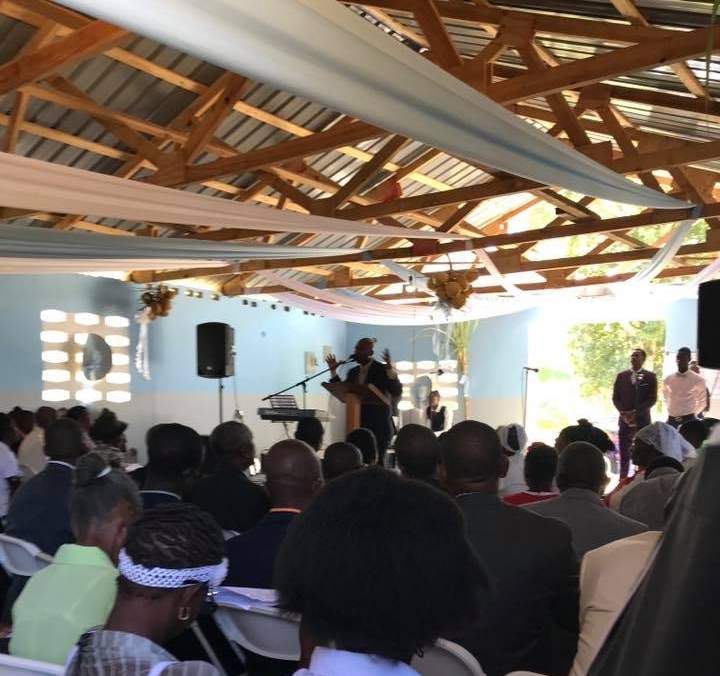 With this new passion, God began leading him to serve in the church and to attend seminars put on by church leaders in Haiti’s capital of Port-Au-Prince. God used this to create a spiritual hunger that ultimately led to Renel moving to Jacmel, where he served at Harvest under Pastor Abraham for four years while also earning his Bible degree. While in Jacmel, the Lord revealed His presence by providing for Renel and his wife Rose in the midst of poverty and by opening the door for him to move back to his hometown as a Pastor. With the guidance and blessing of Pastor Abraham, he was ordained and sent out on August 11, 2012, and has continued to serve faithfully at Harvest Montagne La Voûte. Pastor Antoine was born into a Christian family in Jacmel, Haiti, but like so many others, they struggled with physical poverty and lived on the lower rungs of society. He grew up knowing firsthand what it meant to be a nameless statistic in Haiti’s tragic situation, while also struggling with a physical illness that placed him in the hospital repeatedly for six years. Unable to attend school or play with the other kids his age, Antoine did not enjoy a typical youth. But through the plentiful time spent with his family who loved and witnessed to him, God took hold of Antoine’s life. Over time, God not only spiritually healed him, as he accepted Christ as Lord of his life at the age of 18, but He also physically healed him. Free from his bondages, Antoine was baptized and began living his life in a manner that displayed He was walking with the Lord. 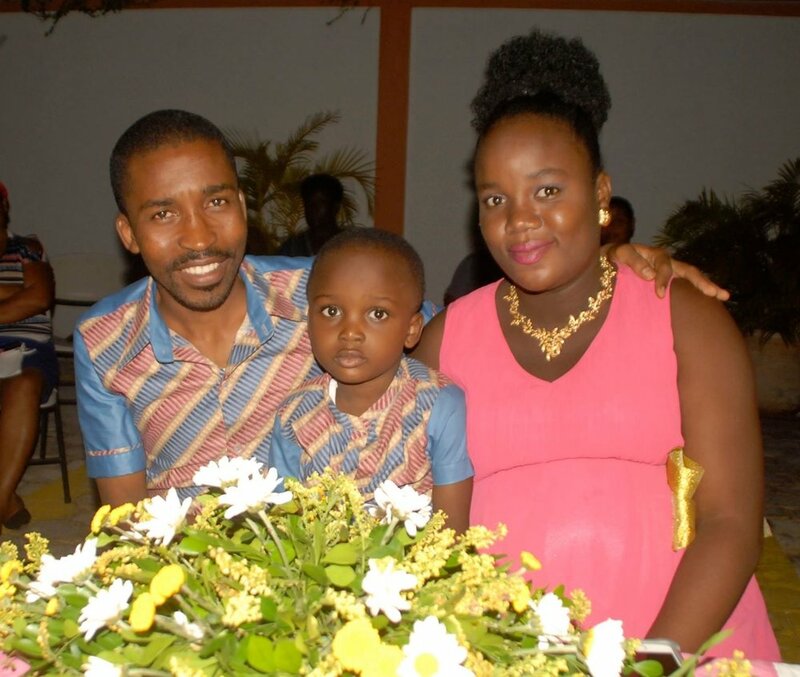 That year, he got involved with ministry and walked alongside his pastor in assisting with church planting and cultivation, and since then, Antoine has been instrumental in the launch and running of Harvest Bible Chapel Jacmel. He spent time serving there as head of the maintenance team, production team, and men’s ministry, as well as serving on the worship team. In 2016, Antoine furthered his calling in ministry and partnered with the Harvest Texas community, Harvest Peoria, and Harvest Jacmel to plant Harvest Cap Rouge. Antoine feels the Lord has been blessing his life since the launch at Cap Rouge in so many ways through different Godly men and women who always are there to support both his family and the church. He and his wife Jenny Jean Louis, as well as his two children – Hans and Anne – are simply grateful for the opportunity God has given them in leading this church. When Carnold was first born, his mother held him precious to her and dubbed him with the nickname of “little Pastor” when everyone in their neighborhood expressed their desire to come see him. As he grew up, people continued to call him by this name, and after he led a group of prayer as a young adult, someone in the village ran to his mother and told her the prophecy had been fulfilled. This was only the beginning of his leadership, as Carnold later confirmed this was truly his calling when the church he was baptized in started to experience difficulty. He felt a stirring from the Lord, a desire and love to serve that he had never felt before. Fulfilling many different roles – including youth leader, administrator, and pastor – over the course of nineteen years, Carnold loved every moment of leadership in his hometown church. After all those years, Carnold was once again called to step out in faith when he felt God calling him to another area where people needed to hear the Gospel. He said he couldn’t resist such a call, and in a short time, he went and started preaching the Gospel to what has now become the church he is with today in Lascahobas. Throughout the years, Carnold received his bachelor degree from a Christian college in theology sciences, a license in legal sciences from L’Université d’État d’Haîti, and a certificate for successful completion of churches helping pastors from the Seminaire de Theologie de Port-au-Prince. He also was a member of the Harvest Training Center’s first graduating class in the summer of 2017 and has since re-launched his church as Harvest Lascahobas. Carnold and his wife Souzette feel blessed to have such a special role in serving the church and the Lord, and he says that from the bottom of his soul, he finds his motivation to serve as a pastor from the knowledge that God has called him to play a part in increasing the kingdom of God. Born in Bainet, a commune in the Southeast department of Haiti, Pastor Nesly grew up in the Catholic Church and was a helper for the priest on Sunday mornings. When his friend invited him to a Bible study, he was hesitant and frustrated because they spoke poorly about the Catholic faith, but after seeing their explanations backed up by God’s word in scripture, his heart began to open. He kept returning to the Bible study, and on January 3rd, 1999, he accepted Jesus into his life. He said he felt a physical burden lifted off him, and from then on, he had a newfound thirst for understanding the truth of God. Soon after becoming saved, Nesly’s pastor saw his leadership capability and asked him to begin working at the church, so at the age of 16, he started working with the children. A few years later, he became a leader in the youth ministry and eventually the youth pastor. During those years of service, Nesly began to hear the voice of God calling him to be a pastor of his own church, and solidifying that calling was the encouragement of many in the church to do the same. At the age of 22, he went to study theology, and when he graduated in 2010, he began to work as an associate pastor in his home church. When the disastrous earthquake of 2010 struck Haiti, Nesly became acquainted with the Harvest community. Harvest West Indy sent a team to Nesly’s church, and he said he saw something different in them. They showed more love, humility, and respect for the Haitian people than other short-term missionaries he had seen, and he loved their passion for sharing the gospel and helping equip leaders in the church to serve their communities. He said he was amazed and excited to know more about them, and in 2014, he was connected with Pastor Abraham in Jacmel to begin the process of joining the Harvest Haiti Initiative. Pastor Nesly was enrolled in the Harvest Training Center’s first class, graduating in the summer of 2017, and he officially launched Harvest Croix-des-Bouqets in March of 2018. Since the launch, Nesly has loved watching the Lord grow their church for His kingdom and glory, and he is blessed to see how his wife, Yvenide, and his daughter, Marlie, serve the church and the Lord as well. He feels blessed to be a member of the Haiti Initiative, as it is a symbol from God that he is never alone. Pastor Jethro grew up in a large, Christian family in La Victoire, Haiti. When he was 8 years old, he accepted Christ and grew committed to serving the Lord in all areas of life. At the age of 19, Jethro had a literal encounter with the Lord in prayer, in which He called Jethro to work in ministry. In submission, Jethro obeyed the Lord by entering theological studies in 2005. In 2010, Pastor Jethro began preaching in his hometown while also working as a chaplain and translator at a hospital in Cap-Haitien on weekdays. After three years of pastorate in the countryside, he felt the Lord calling him to start a ministry in Cap-Haitien, so in 2013, he left his other jobs to start his church. When he was working as a translator, he met a woman who told him about Harvest’s mission in Haiti, to support the local churches and plant throughout the country. He immediately connected with Pastor Abraham Comper of Harvest Jacmel and Pastor Steve McGinnis of Harvest Peoria and eventually become one of the first graduates of the Harvest Training Center in Jacmel, Haiti. 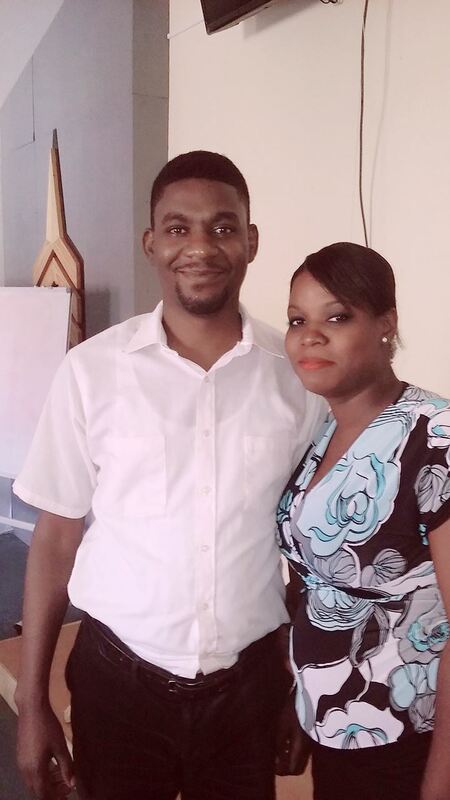 Since launching Harvest Cap-Haitien in January of 2018, Pastor Jethro, his wife Vanessa, and their congregation have been praising God for the souls that have already come to Him through this plant. Jethro and Vanessa find it a true blessing to be the ones appointed to care for this church and the growth of God’s kingdom. In 2017, Harvest's vision for spreading the Gospel in Haiti took its next steps. With the establishment of the Harvest Training Center (HTC) in Jacmel on February 4th, the journey to train a new wave of indigenous pastors began. In 2016, Harvest Peoria partnered with several organizations to create a pastoral training curriculum written completely in French. With the leadership of Pastor Abraham of Harvest Jacmel and the partnership with Senior Pastor Tim Harkness and Missions Pastor Steve McGinnis of Harvest Peoria, the HTC's first class was confirmed. The HTC Pastors are indigenous to Haiti, already had some type of seminary and formal training as well as practical ministry experience, and meet the character, competency, and alignment of Harvest. Other requirements include already having a location and core team established, so the training center is merely training the man to launch what is already in motion. Born and raised in Jacmel, Haiti, Pastor Venet has been instrumental in the Harvest Jacmel ministry, faithfully serving so it could be what it is today. He first got involved in ministry in the early 2000s when a member of his church asked for his help putting together worship song booklets. He also started cleaning the church before services and soon joined the kids’, students’, and worship ministries. In 2011, he was given responsibility for worship and communication. In 2012, he was ordained as a worship pastor, and in 2014 when the church transitioned to become Harvest Jacmel, he remained worship pastor and filled the role of youth pastor. Venet now continues his role as worship pastor at Harvest Jacmel, and he also fills the role of Harvest Training Center Director. He works with the Harvest Haiti Initiative (HHI) by managing all the files for potential candidates, as well as helping recruit and interview the candidates. In helping translate materials, teaching worship classes, keeping in touch with HTC graduates, and frequently visiting the new church plants, Venet is faithful in making sure the HTC and HHI run smoothly. Venet is grateful for his position, and he loves how God has involved him and his wife Gabrielle in growing the team and the church all for His glory.